The Air Jordan 6 Low “Insignia Blue" Releases Tomorrow! Jordan Brand's 30th anniversary has brought the Air Jordan 6 Low back in a plethora of colorways. Following the release of the classic "Chrome" colorway, we've got a new design coming to retailers very soon! 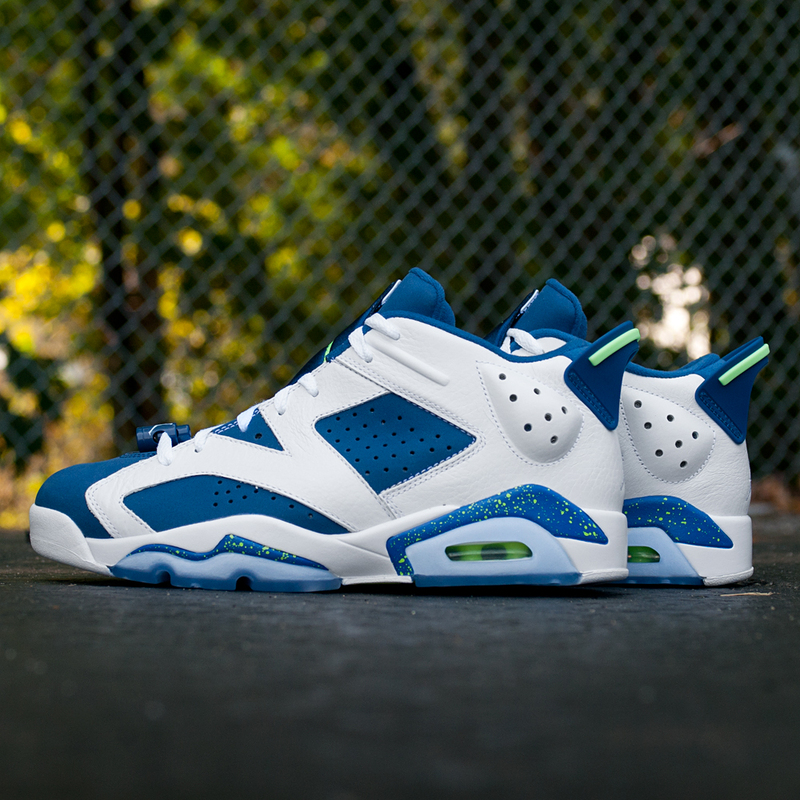 The Air Jordan 6 Low “Insignia Blue" will be releasing tomorrow morning, and you don't want to miss out on this pair. 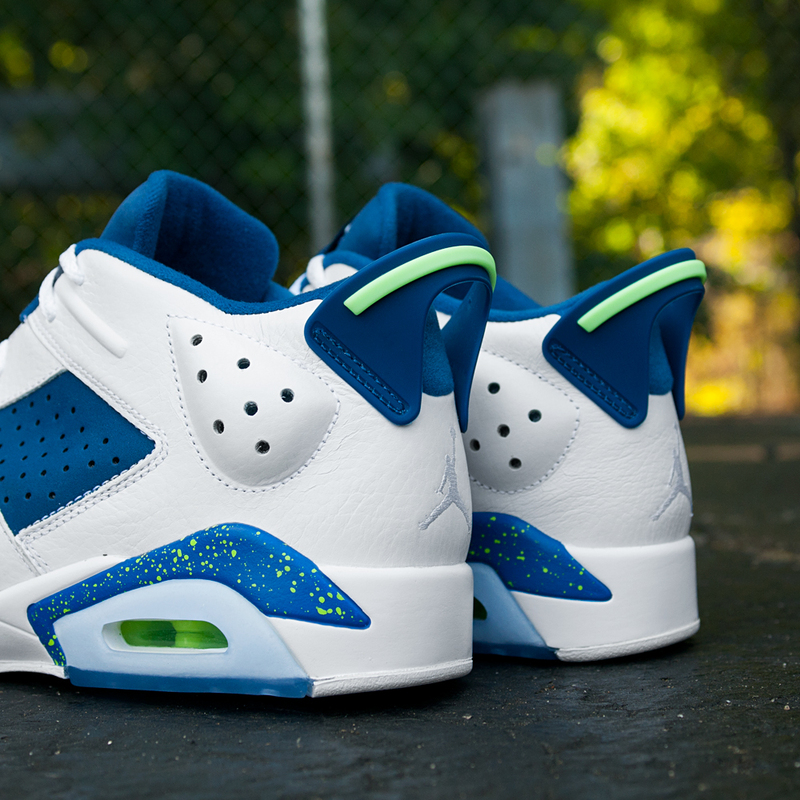 The Air Jordan 6 Low “Insignia Blue" sports a very Seattle Seahawks vibe. Insignia blue and white make up most of the sneaker's appearance as ghost green hits contrast the look. A blue translucent sole makes for a fresh look, and completes the sneaker's appearance. Hitting select Jordan retailers tomorrow morning, make sure you follow SneakerShouts on twitter for your chance to cop!